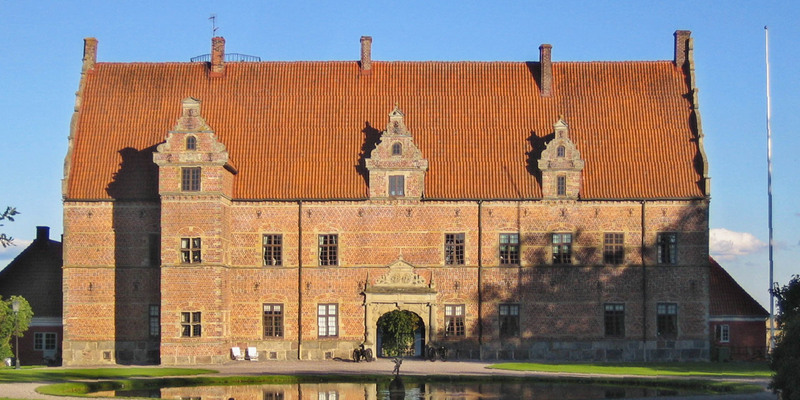 Svenstorps Slott is a typical Danish Renaissance castle dating back to the time of Christian IV (Kristian IV). 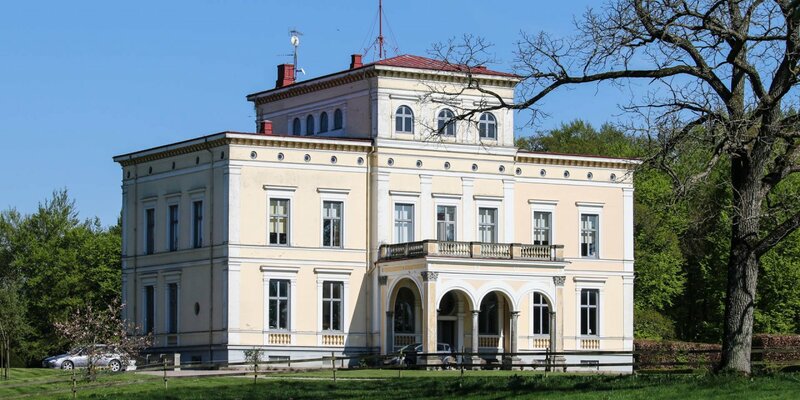 It is located on the good Svenstorp near the village Igelösa, about 12 kilometers north of Lund. The castle impresses with a decorative facade of unplasteres brick stones and finely carved sandstone. The two-storey main building of the castle was built in 1596 on behalf of the Danish court lady Beate Huitfeldt with the cooperation of master builder Hans van Steenwinckel from Antwerp. The two one-storey side wings, which form the lateral boundary of the courtyard, were not built until the 18th century. The park and the partially terraced gardens, which are protected by impressively large and double standing hornbeam hedges, are several hundred years old. 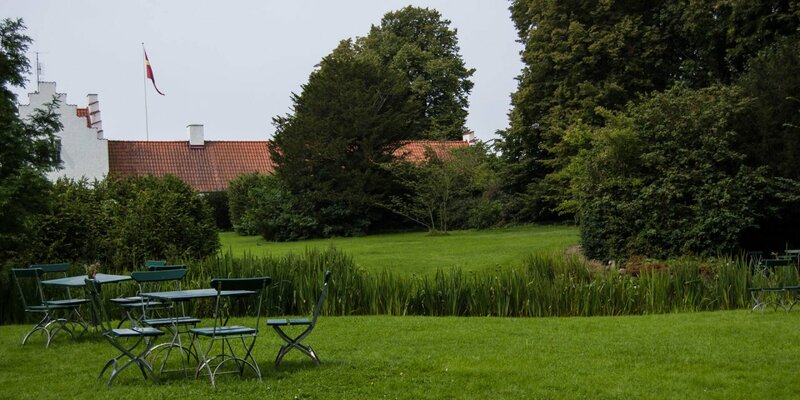 Even the famous botanist Carl von Linné reported with a certain enthusiasm from the garden in 1749, after a visit to the castle in the course of his journey through Skåne. The castle is privately owned, inhabited and can not be seen from the inside. The outdoor facilities, the park and the gardens are open to the public all year round. 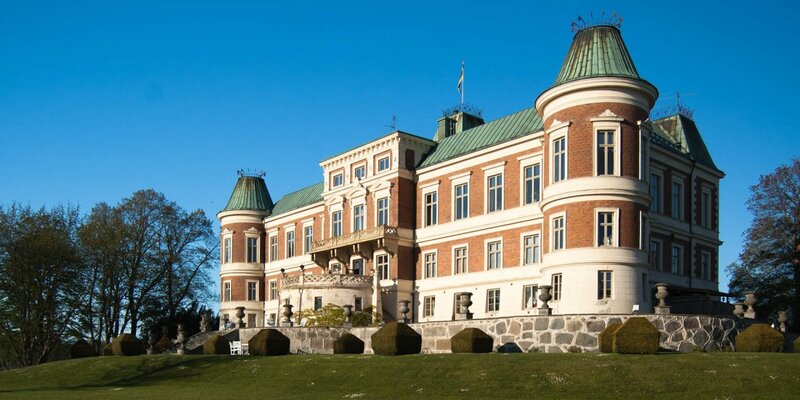 In addition to the old gardens, Svenstorp Castle also has a certain historical fame due to its so-called royal room. The room in the castle was first inhabited by the Danish King Christian V (Kristian V) before the decisive battle of Lund in 1676. After the devastating defeat of the Danes, it served the Swedish King Charles XI (Karl XI) as accommodation. In the face of his far superior Danish army, King Christian had already let prepared the victory ceremony at Svenstorp Castle, and the schadenfreude of the Swedish king was indescribable when he set up his headquarters in the castle two days after the battle.